Find huge deals in Miami Area Fl, United States that you may book now & pay later! Best prices for in Miami Area Fl, United States. A dream vacation for you and your family, guaranteed by our travel consultants. For members-only deals, we recommend using the new filter for deals in Miami Area Fl, United States. This stunning hotel is located next to a private beach, between the Atlantic Ocean and the Intracoastal Waterway. 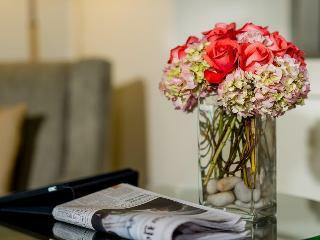 The hotel is minutes from Art Deco landmarks, fascinating museums, and state-of-the-art sporting arenas. In addition, fashionable Lincoln Road's open-air boutiques, dining, and clubs are a short drive down the road. Local attractions include the Miami Seaquarium, the Metro Zoo, or a host of other outdoor adventure parks. Centrally located in the heart of vibrant South Beach Miami, this stylish modern hotel is just a few steps from the beautiful beaches and attractions such as Lincoln Road Mall, Ocean Drive with its large variety of restaurants and shops, the famous Art Deco District, Lummus Park, Miami Beach Botanical Gardens and the Miami Beach Convention Center. Miami International Airport can be reached within approximately 20 minutes. Overlooking the Miami River, this hotel is ideally situated in Downtown Miami next to the Miami Convention Center and the Flagler Shopping District. Port of Miami, Bayside Marketplace, Miami Performing Arts Center and the American Airlines Arena, home of the Miami Heat basketball team, are within easy reach. The international airport of Miami can be reached within 15 minutes by car. Enjoying views over the Atlantic Ocean or North Biscayne Bay, this hotel is situated directly on the white sands of famous Miami Beach. Bal Harbour Shops, Haulover Park Marina and Concord Shopping Plaza are within easy reach, the attractions of South Beach such as the beautiful Art Deco District, Ocean Drive with its restaurants and shops or the historic Jackie Gleason Theater are within a short drive. Enjoying breathtaking panoramic views over the beautiful sandy beach and the incredible turquoise waters of the Atlantic Ocean from its oceanfront position, this highly elegant luxury hotel is but a gem in the spectrum of excellent hotels Miami has to offer. The lovely Art Deco District of South Beach with its multitude of restaurants and shopping facilities is within easy reach. Enjoying fantastic panoramic views over the Atlantic Ocean and South Beach, this elegant luxury hotel is situated close to the southern tip of Miami Beach Island in the trendiest corner of the city. The famous Art Deco District of South Beach and the Miami Children's Museum are within a short stroll, the international airports of Miami and Fort Lauderdale are about 18 km and 48 km away, respectively. 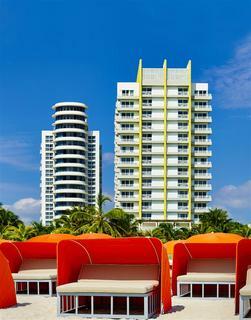 This hotel is perfectly located on a wide stretch of Miami Beach, offering direct access to the Atlantic Ocean. 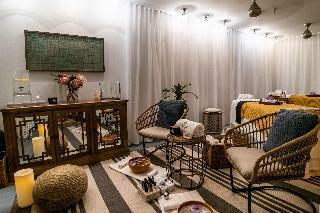 Guests will experience Miami's cosmopolitan downtown, vibrant Art Deco district and idyllic beaches. Miami's shops, restaurants and attractions are nearby, and several restaurants and shopping centres are within walking distance. Close by, guests will find Bal Harbour Shopping Mall and Aventura Mall. Situated frontline to the Atlantic Ocean directly on the sandy beach, this attractive hotel is within a short stroll from the shops of Aventura Mall. Attractions such as Sun Life Stadium, Gulfstream Park Racing and Casino, Bal Harbour Shops, the Presidential Country Club or South Beach with its beautiful Art Deco District are within easy reach. The international airports of Fort Lauderdale and Miami are just a short drive away. 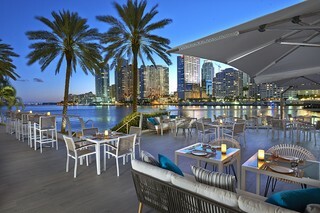 This upscale hotel is centrally located in downtown Miami along the Biscayne Bay and is connected to the Metro Mover, which offers easy access to the Bayside Marketplace and numerous shops. 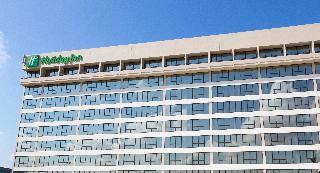 AAA Arena is a 15-minute walk from this hotel and the Miami Beach Convention Center is a 10-minute drive away. Experience all that the downtown Miami performing arts district has to offer including Coconut Grove and the famous Miracle Mile, Miami Beach, South Beach, and American Airlines Arena. This cosy hotel is excellently located frontline to the Atlantic Ocean and directly on the beautiful white sandy beach of Sunny Isles. Restaurants and shops are in the vicinity, Aventura Mall, Bal Harbour Shops and Oleta River State Park are within easy reach. 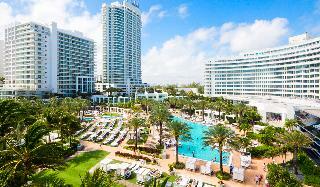 South Beach, Miami Beach Convention Center and Fort Lauderdale Convention Center are just a short drive away. The international airports of Miami and Fort Lauderdale are at a distance of about 32 km and 19 km, respectively. 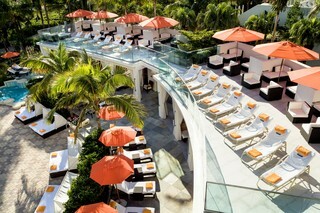 This luxurious seaside property is situated in the heart of South Beach, directly on the Atlantic Ocean, and flaunts a “SoBe style” fusion of cosmopolitan and Art Deco influences, combining beachfront elegance with top-notch amenities for the premier Miami Beach luxury hotel experience. 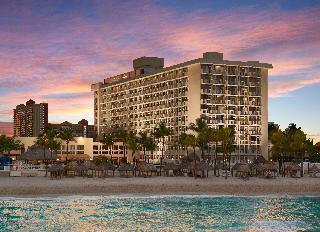 This hotel lies close to restaurants, entertainment and shopping opportunities. 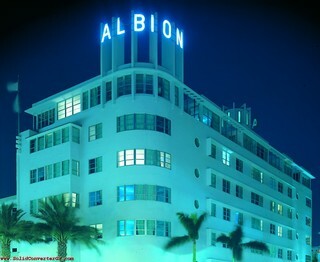 This hotel is located in Miami Beach, between the famous Art Deco district and the Bal Harbour shops. The hotel is situated on one of the most spectacular stretches of beach in the United States and minutes from the bustling entertainment Mecca that is South Beach. 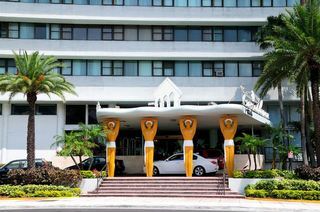 The hotel is close to Concord Shopping Plaza and other points of interest include Miami Harbour and Lincoln Road Mall. 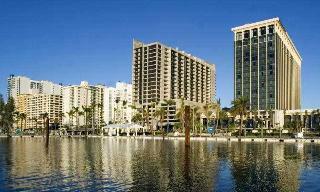 Luxurious 18-story hotel located on the crystal waters of Biscayne Bay, in beautiful downtown Miami. 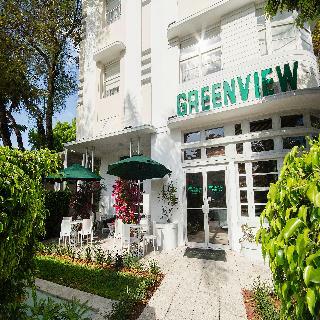 Close to Miami Airport, Miami Seaport, shopping, and the beaches- ideal for pre and post cruises. Outdoor heated pool and fitness center. Full service restaurant and rooms service available. 499 elegantly appointed rooms feature hairdryer, balcony, coffee maker and iron/board. Parking fee per car per day. Featuring fantastic ocean views, a sparkling pool, swaying palm trees, and direct beach access in the neighborhood's Art Deco District, Kimpton Surfcomber Hotel, puts the best of Miami right at your doorstep. Enjoy all that Miami has to offer in a friendly, unpretentious, resort setting, with the Fillmore Miami Beach, Miami Beach Convention Center, famous South Beach nightlife and Lincoln Road's chic boutiques just a short walk away. With an ideal South Beach locale, just north of world famous Ocean Drive at 15th Street, Royal Palm South Beach Miami is an oceanfront resort situated within the coveted and culturally rich area of South Beach, Miami. Our resort provides guests with a location offering direct beach and Miami boardwalk access and is immersed in luxury retail on Collins Ave., and only blocks from Lincoln Rd. and Espanola Way, offering endless entertainment and dining options. 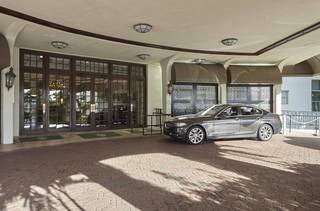 This hotel is located just 9 km from Miami International Airport, at the heart of Coconut Grove just 35 minutes from the fabulous South Beach. The hotel is opposite CocoWalk and only steps from lively sidewalk cafés, stylish boutiques, Coconut Grove shopping, modern art galleries and sizzling nightlife. 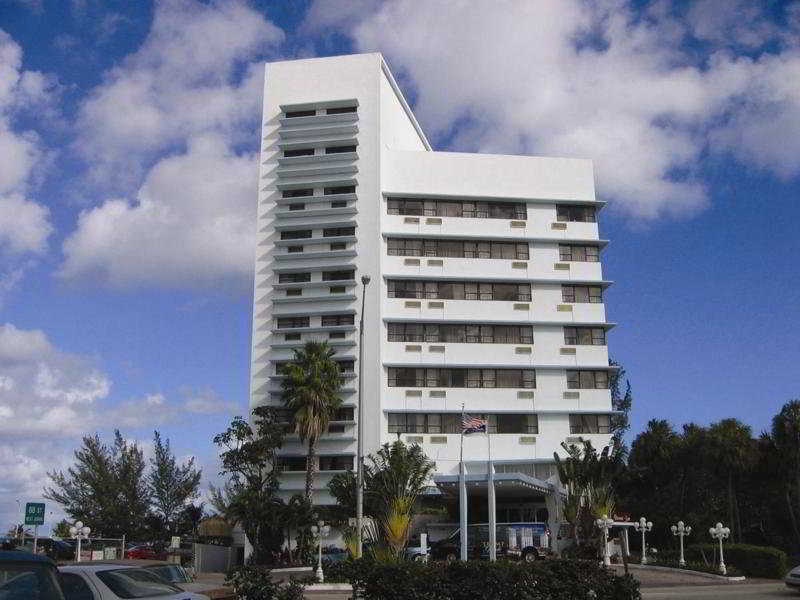 The hotel is only minutes from Downtown Miami and Coral Gables business and entertainment districts. Set in the heart of Miami's financial district, this luxury hotel in an impressive glass-clad tower is just steps from Brickell Village with its restaurants, bars and stylish boutiques. The barrier island of Key Biscayne with its lovely beaches, parks or golf course can be reached within 15 minutes by car, South Beach with its famous Art Deco District and the Miami Beach Convention Center is just a short drive away. 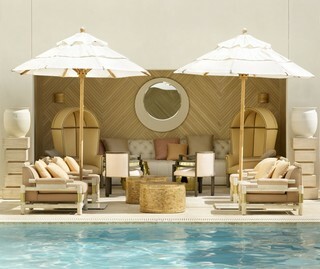 This hotel is ideally situated between the trendy South Beach and the exclusive Bal Harbour, both 10 minutes away. When not enjoying the sand and surf, guests can also explore Miami Beach attractions, like the Miami Seaquarium, Parrot Jungle Recreational Park, Coconut Grove and the Port of Miami. 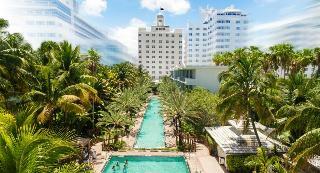 Other points of interest near this hotel include Bass Museum of Art, Miami Beach Golf Club and Lincoln Road Mall. Day use room check in time 9:00 am check out time 6:00 pm. Ideal destination for business and leisure travelers. 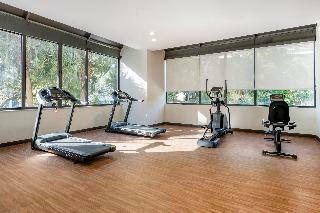 Centrally located near Miami International Airport. Beautifully landscaped outdoor pool, sundeck, jacuzzi, sauna and well-equipped exercise room. On-site dining available at The Bristol Cafe, offering all-day dining, and The Bristol Lounge. 304 comfortably decorated rooms all with coffee maker, hairdryer and iron/board. FREE transportation to Miami International Airport.